Sailor Moon fans will be happy to know that for the very first time, there is going to be a movie of the series. Toei Animation and VIZ Media have teamed up and have made it possible for Sailor Moon to appear in her first feature film. Toei Animation and VIZ Media have also teamed up with ELEVEN ARTS, the very company which is going to handle the US release of the movie. The movie is said to arrive in the US in January 2017. No exact release date for the movie has been provided, but it is rumored to arrive at the end of January. The movie will be played in more than 300 theaters in the US. Sailor Moon R: The Movie will also have a brand new English cast for the US version. Stephanie Sheh is said to voice the main protagonist of the movie, Sailor Moon. Robbie Daymond is also going to voice a character in the movie. Daymond will voice Mamoru Chiba/ Tuxedo Mask. On the other hand, Benjamin Diskin is going to voice the antagonist of the movie, Fiore. All three of these voice actors are known for many of their notable works, so fans won’t get disappointed by them. Along with this, the uncut version of Sailor Moon R: The Movie will be released for the North America. The short anime special of Sailor Moon, Make Up! Sailor Guardians will be featured in the movie. 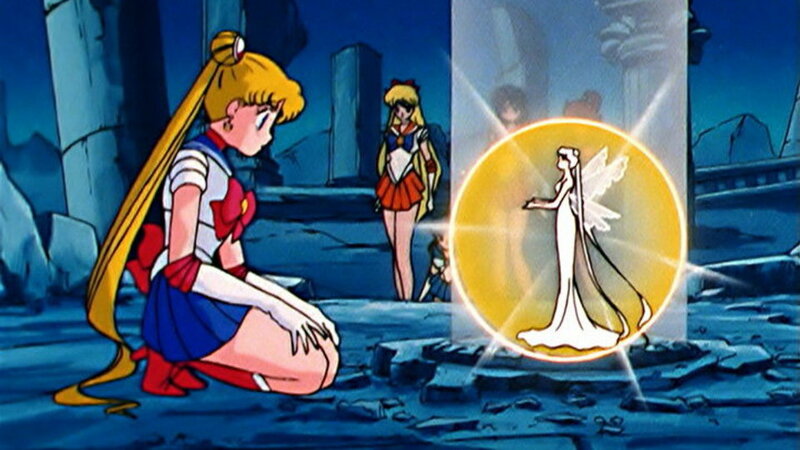 In the short special, Usagi and Chibi-Usa are seen debating about who among the two Sailor Guardians is the best. Those who will get the tickets to the movie are sure in for a treat as they will get the chance to win a special Sailor Moon gift, which will be handed out in the theaters while the movie is being played. Along with this, the original Sailor Moon and the new Sailor Moon Crystal anime are also now available to be purchased as Limited Edition Blu-ray/DVD Combo Packs from Viz Media. Sailor Moon R: The Movie is currently expected to get released at the end of January 2017. Sailor Moon is currently one of best anime series out there. It was some time ago reported that the series has helped in prevention and detection of sexually transmitted infections. The Sailor Moon anime series started way back in 1992 and ended in 1997. The series quickly gained popularity because of the unique story line it featured. Let us know if you’re excited for Sailor Moon R: The Movie or not in the comments below. Previous articleYuri On Ice Episode 9 Release Date And Spoilers: Viktor To Leave Yuri As His Coach?